This beauty was perched outside my office window! This apparently is our neighborhood hawk and can be heard often, patrolling the skies above the neighborhood! Awesome capture of the hawk! 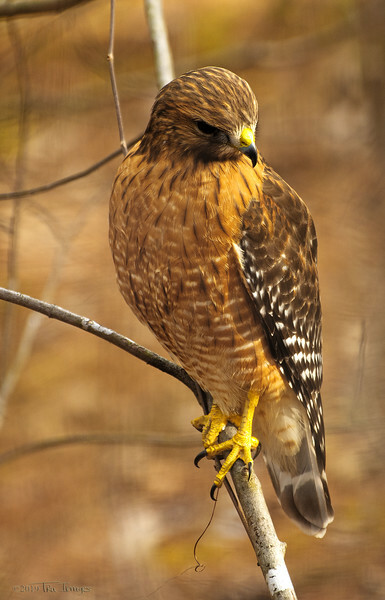 Gorgeous Red-shouldered Hawk! You captured his colors and details really well. Golden and gorgeous hawk with a matching background! Good for keeping down the population of small rodents, otherwise known as vermin. Hawks, some anyway, seem to be adapting well to the presence of humans as long as they know they won't be shot. Beautiful capture of this one.